Birmingham is set to become a virtual aviary in 2015 as a host of feathered friends descend on the city as part of its largest ever, mass participation art event. 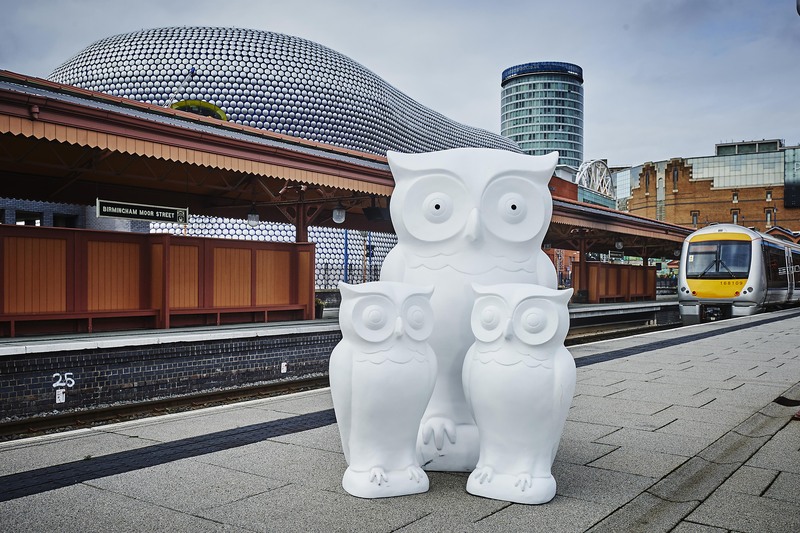 Wild in Art will be working in partnership with Birmingham Children’s Hospital to create The Big Hoot which will see over 120 individually designed 165cm tall owl statues appearing throughout the city over ten weeks during summer 2015, helping to showcase the wide cultural appeal of Birmingham. The Big Hoot offers an opportunity for artists to work in partnership with local businesses, charities, schools and community groups to transform over a hundred blank, giant, owl sculptures into imaginative, individual characters. Ultimately, it will become a significant fund-raiser for one of the region’s most invaluable resources – the Birmingham Children’s Hospital. The team welcome designs in any art form – traditional to new media, fine art to illustrations, graffiti and mosaic, embroidery to metalwork. If you are commissioned, you will receive an honorarium of £850.00 upon completion of your artwork. This entry was posted in Art, Birmingham and tagged Birmingham, Owl sculptures, The Big Hoot. Bookmark the permalink.